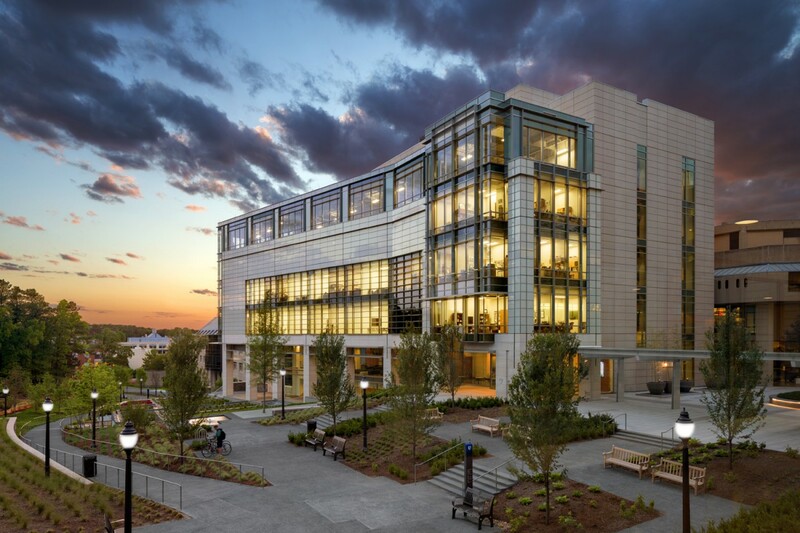 The Center for Health Education will be the first new home for medical student education since classes began in the Davison Building in 1930, and will provide students with the latest in educational technologies and a team-based learning. 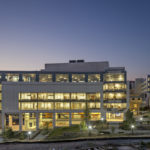 The $53 million building, located at the center of the medical campus, will feature state-of-the-art classrooms with moveable walls and chairs to accommodate team-based learning activities among the students. 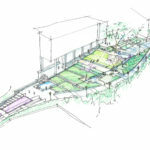 The facility will include six floors, covering 104,000 square feet, with flexible classrooms that will easily accommodate groups from 40 to 100, a ground floor auditorium that will seat up to 400, simulation suites that will quickly transform from mock exam rooms to surgery and emergency rooms, and a new student life center that will house areas for fitness, studying and socializing. 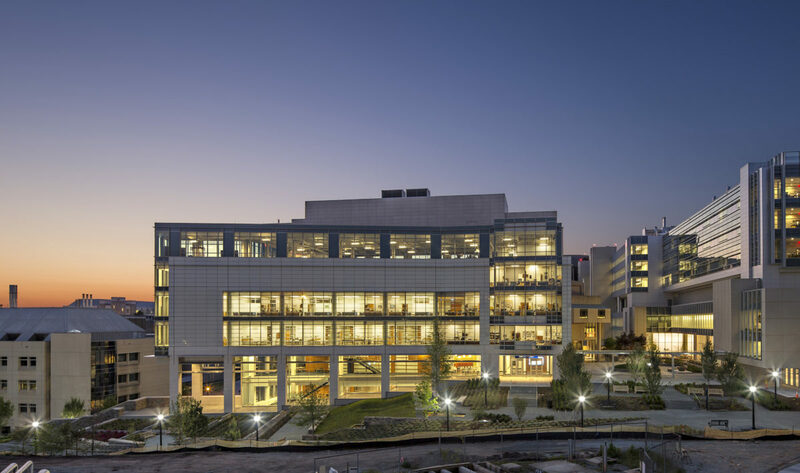 This learning center is located on a 2.5-acre highly urban infill site adjacent to the new DUMC Medicine Pavilion and Cancer Center. 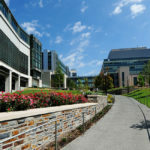 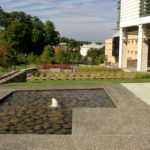 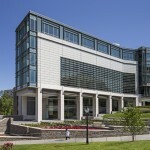 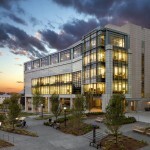 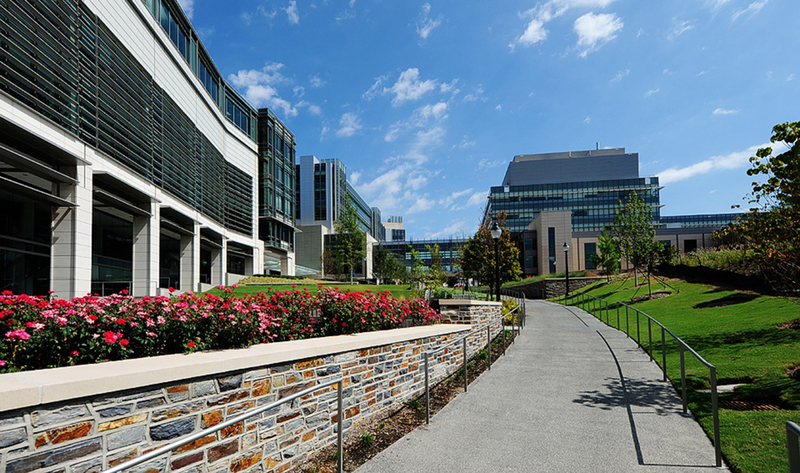 It completes the pedestrian connection between Duke’s academic campus and medical campus. 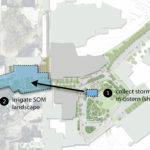 The site’s elevation rises 30 feet through the site, so careful attention was paid to ensure ADA compliance throughout the pedestrian corridor. 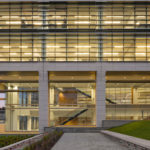 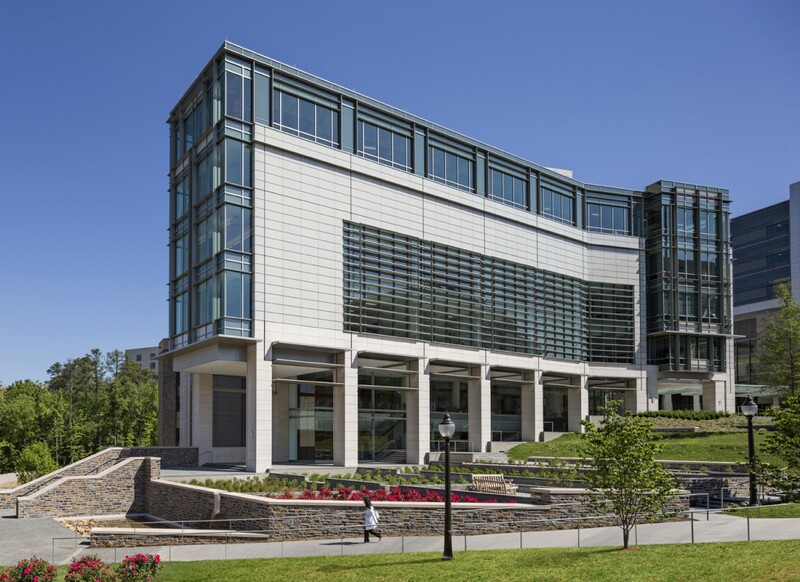 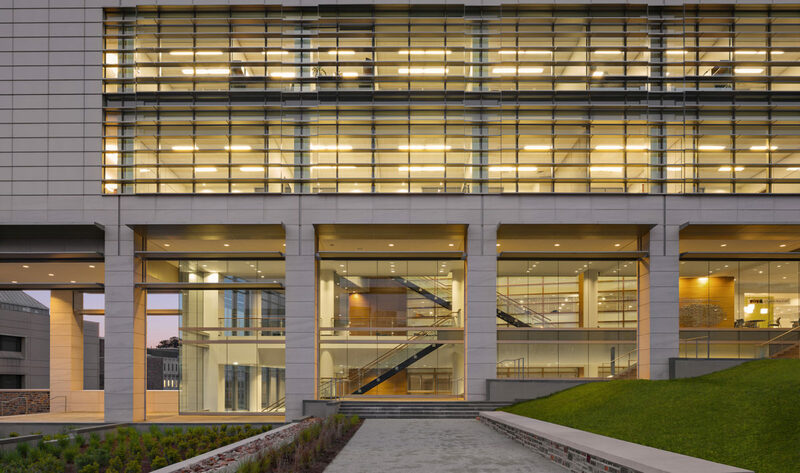 This project achieved LEED Gold certification, and the sustainable site design contributed 20 percent of the required LEED credits. 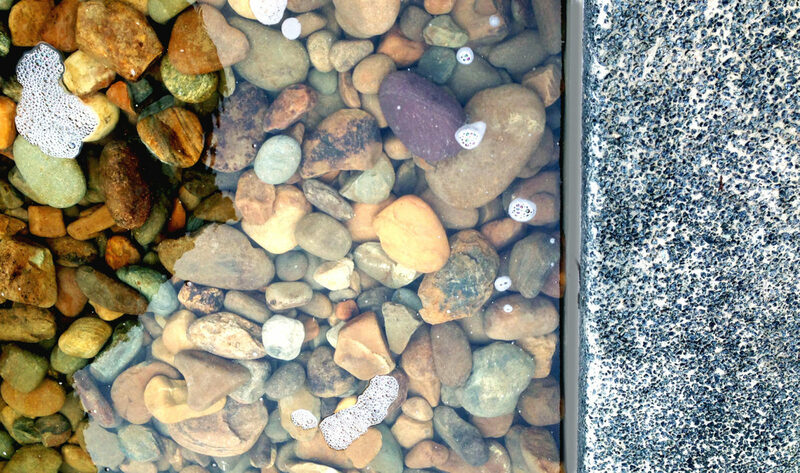 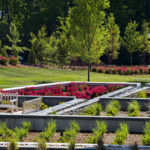 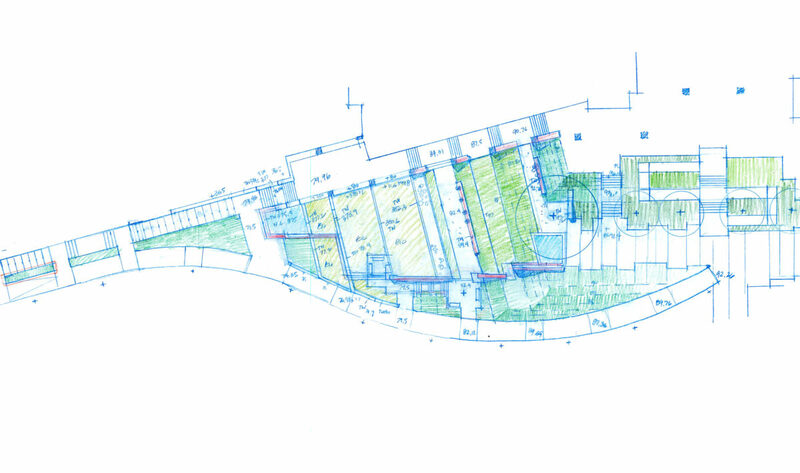 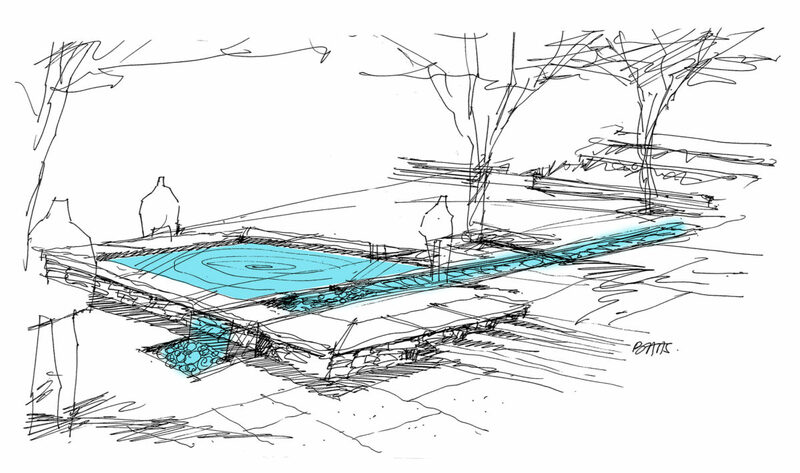 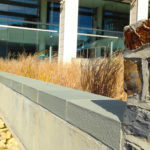 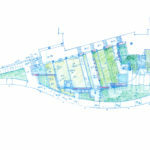 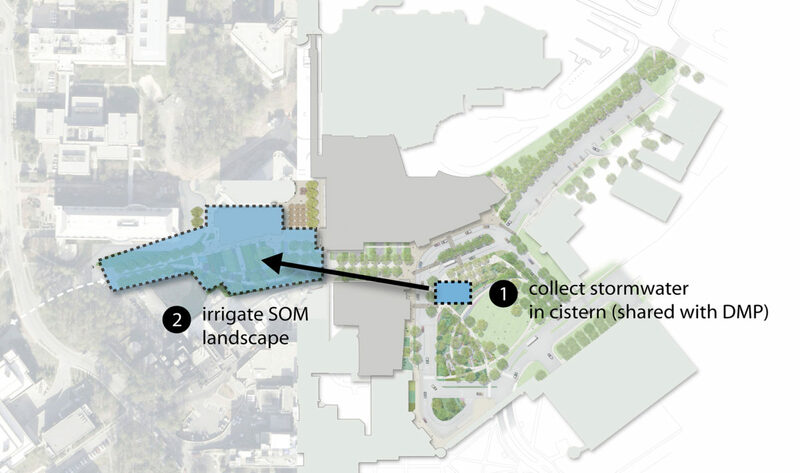 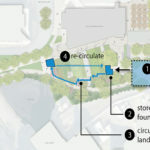 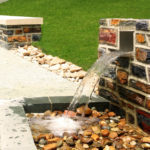 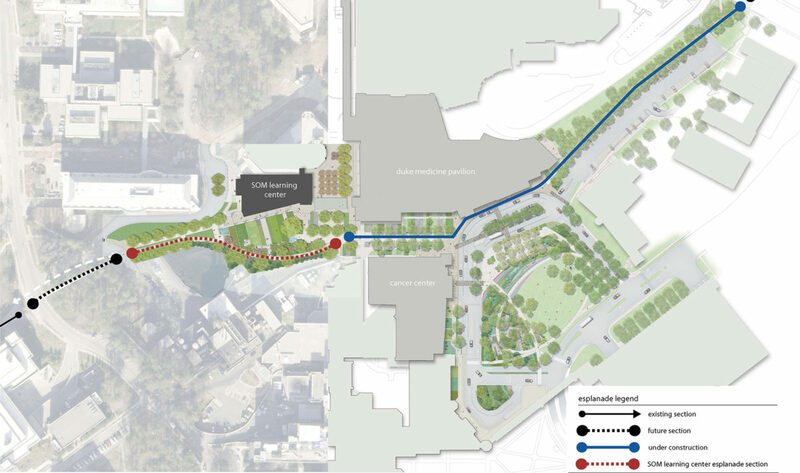 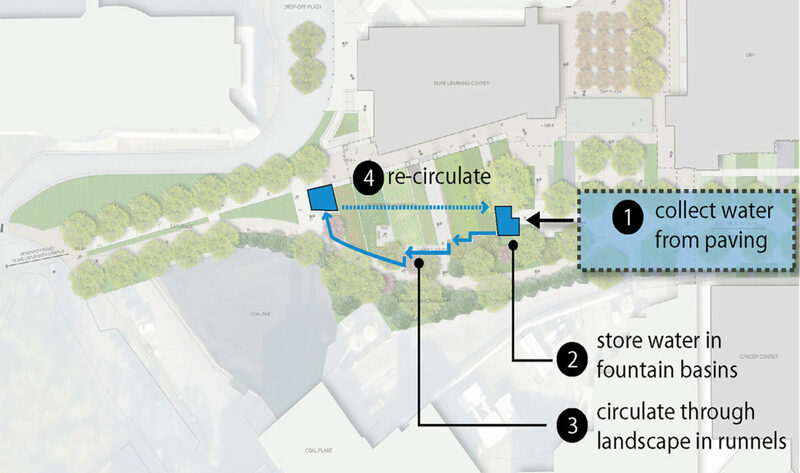 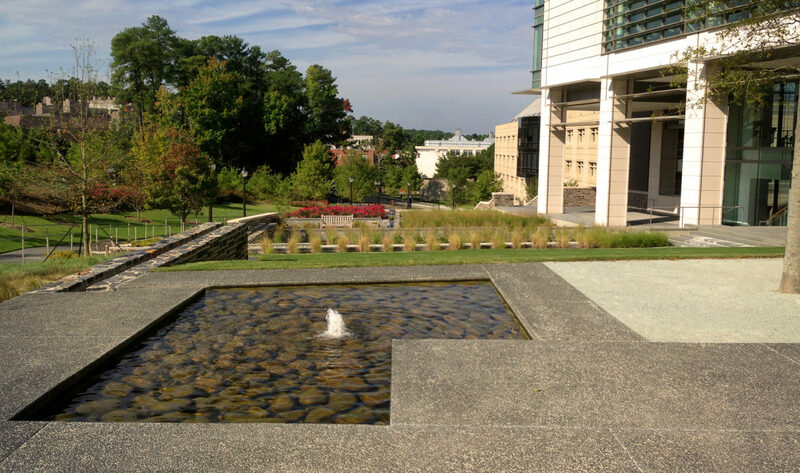 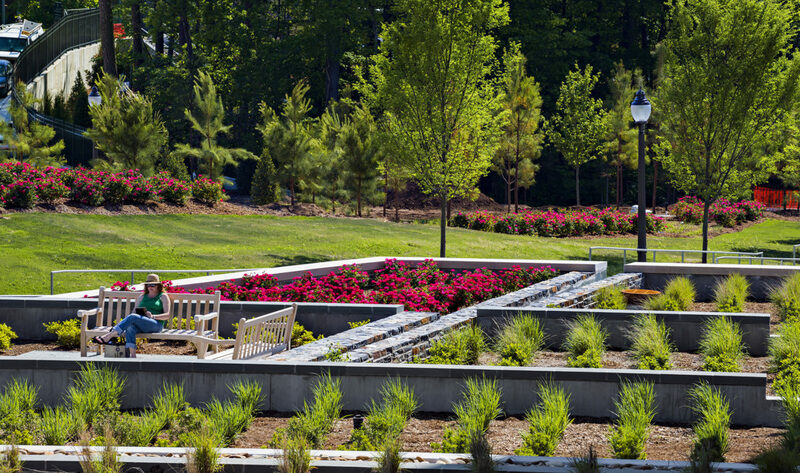 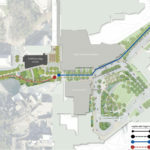 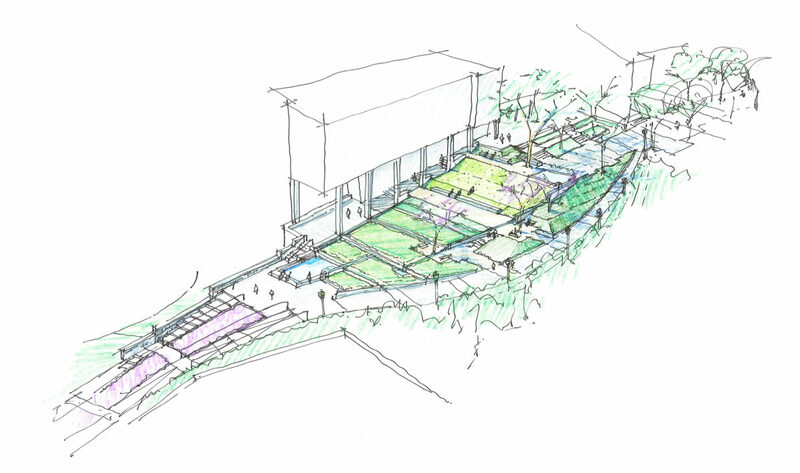 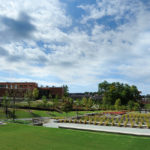 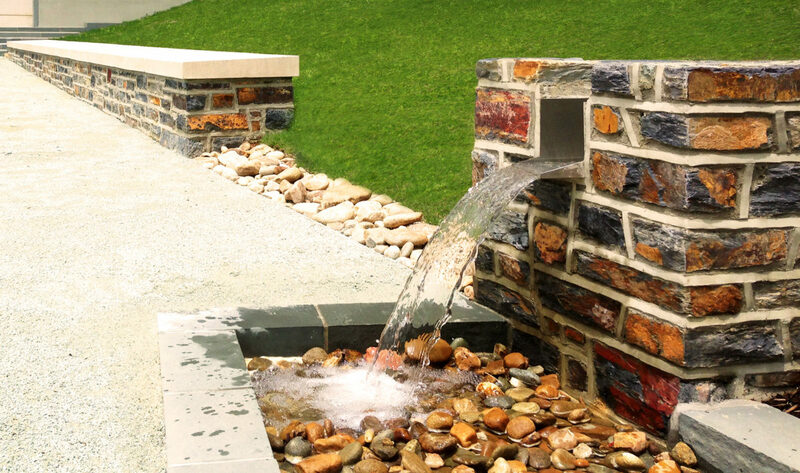 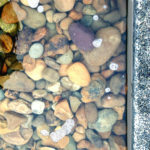 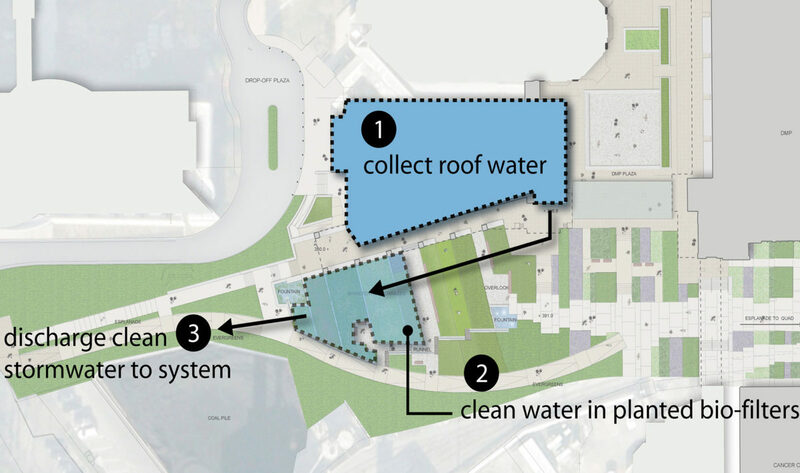 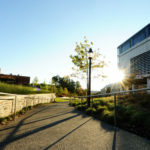 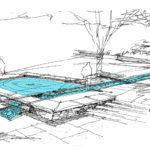 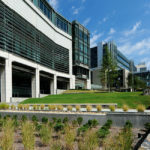 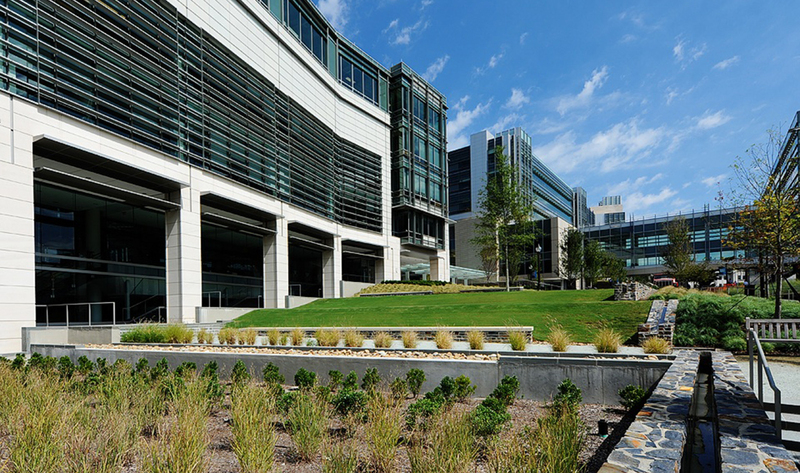 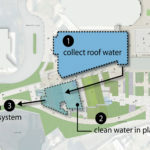 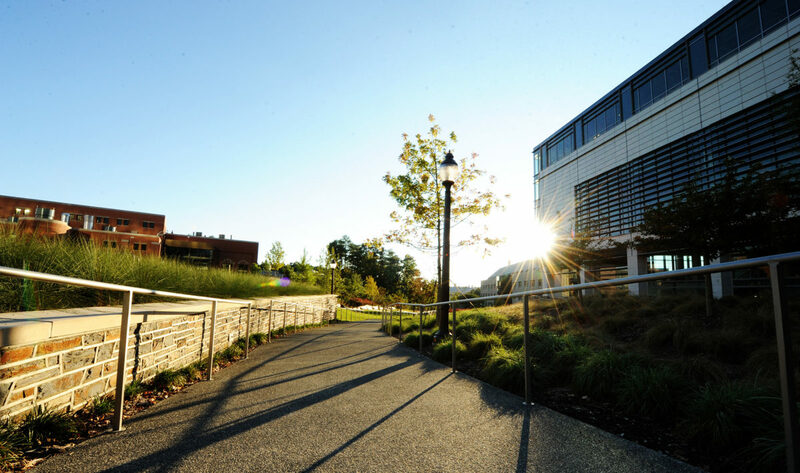 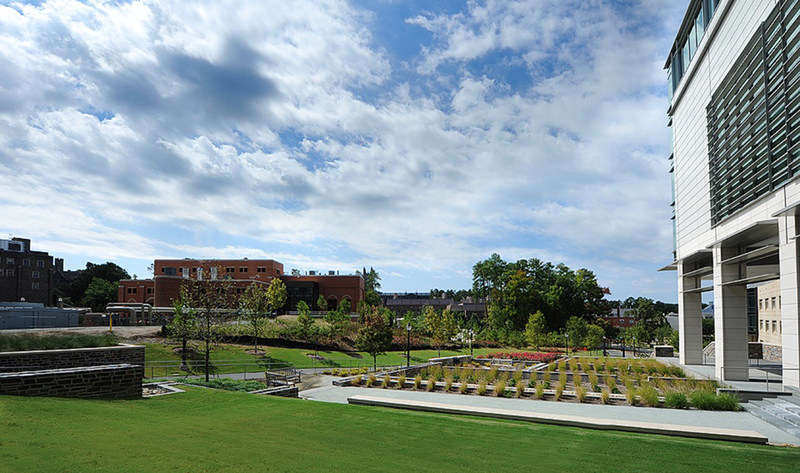 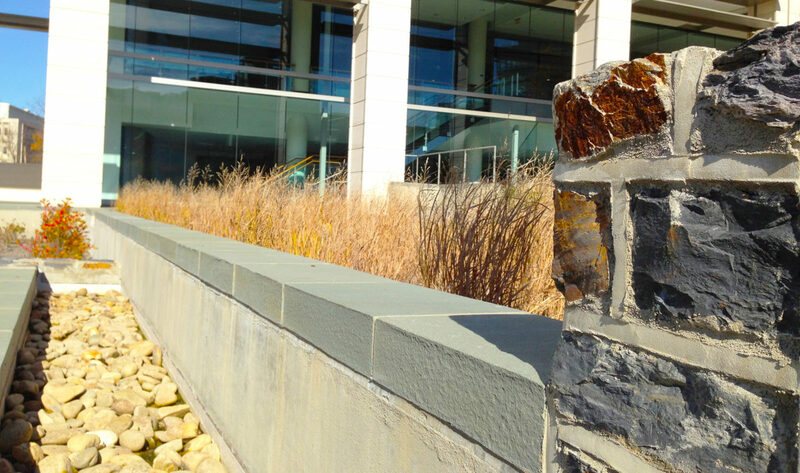 Integrated and sustainable design strategies include bioretention terraces, a terraced stormwater fountain and runnel system, and an irrigation system that utilizes rainwater captured in cisterns.